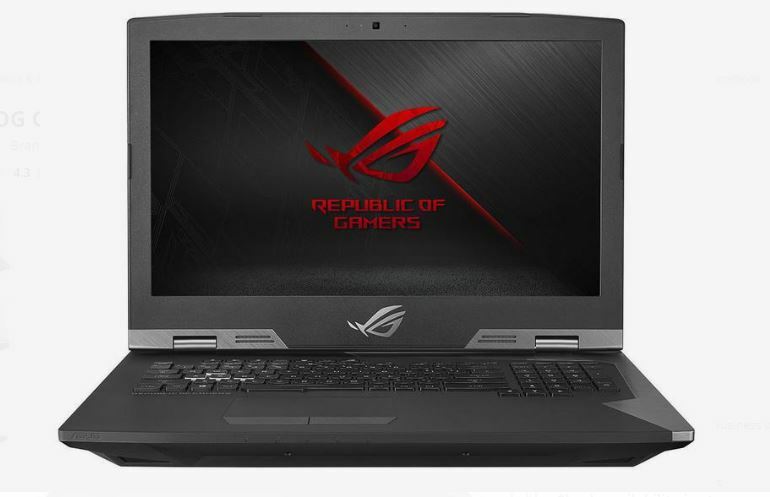 Asus’ latest gaming notebook is awesome in every way. The ROG G703GI is the updated version of the ROG G703 released earlier this year. 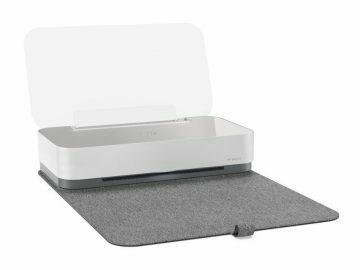 This follow-up features the same bulky design but is now loaded with top-of-the-line components that would make any gamer smile. The design of the ROG G703GI pretty much resembles the G703 – but we’ve always loved the metal armor design. At 4.7 kilograms, it’s heavy and bulky, which gives you a constant reminder that this is still a gaming notebook. 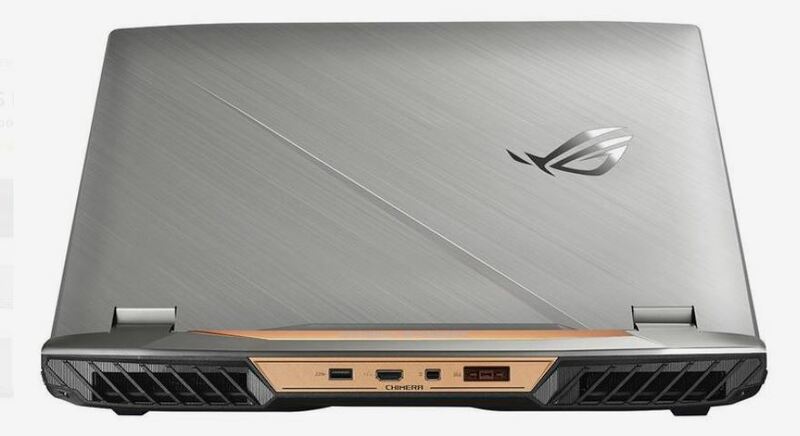 The exterior features brushed aluminum with the ROG logo at the back of the screen and yes, it glows when the notebook is turned on. The first you’d see when you open the notebook is the massive 17.3-inch screen and right after that, you’d notice the backlit keyboard that also supports RGB lighting. The keys have ample spacing in between, and are very comfortable to press on. This in turn makes playing games more satisfying with this keyboard on the ROG G703GI. There’s also a large touchpad right below the keyboard, and while it functions well, I’d prefer to use an external mouse when I use the ROG G703GI. The top part of the keyboard houses extra buttons for the other functions of the ROG G703GI that includes a shortcut for streaming or launching the Xbox Windows 10 app. 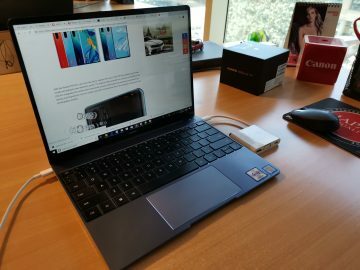 From the outside, the ROG G703GI is also littered with various input ports including USB-C, USB 3.0, mini DisplayPort, SD card, Ethernet and an HDMI port. 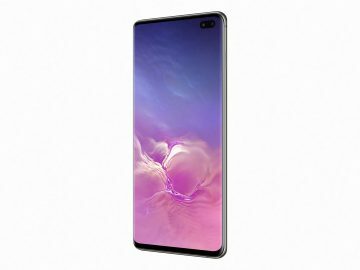 There’s also Wi-Fi and Bluetooth for wireless connections. Everything inside the ROG G703GI is made for gaming, and just seeing those specs made me setup the notebook right away so I can start installing my games. I guess you could say we weren’t surprised about the results when we finally got to test the ROG G703GI. Everything was fluid and smooth and incredibly fast. But of course, the ROG G703GI was made for gaming, and the results did not disappoint. I managed to get decent framerates for Rise of the Tomb Raider and Forza Motorsport 7. Graphics was smooth and you’d hardly see stuttering when playing the game. Forza Motorsport 7 for example was a joy to play on the ROG G703GI. The combined graphics capabilities and the high-refresh rate of the display made it a formidable gaming machine. The framerates rarely dip below 90 fps at a 1080p resolution, meaning that it’s more than capable of delivering a smooth gaming experience. The only problem is that with high-end components built into the ROG G703GI, battery life suffers a lot. But I’m thinking that someone who’d purchase the ROG G703GI is because of its power and performance, not its portability. 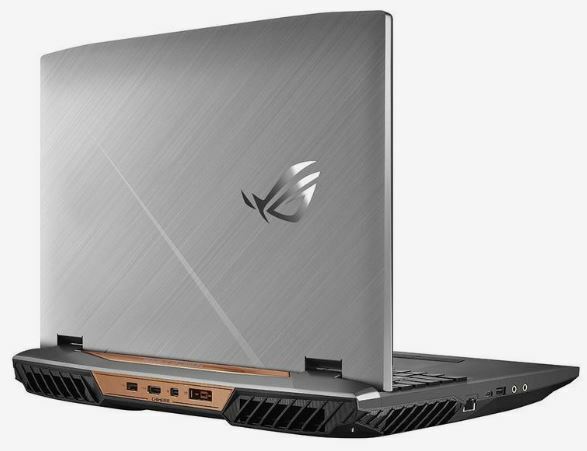 The fans also kick up once you start playing graphics-intensive games, which can be annoying especially when it gets too loud – but that’s part of buying bulky and powerful notebooks like the ROG G703GI. Overall, I’m very satisfied with how the ROG G703GI handled that games I’ve played. It’s certainly built for gaming, so you won’t have problems literally playing any game that you throw at it. 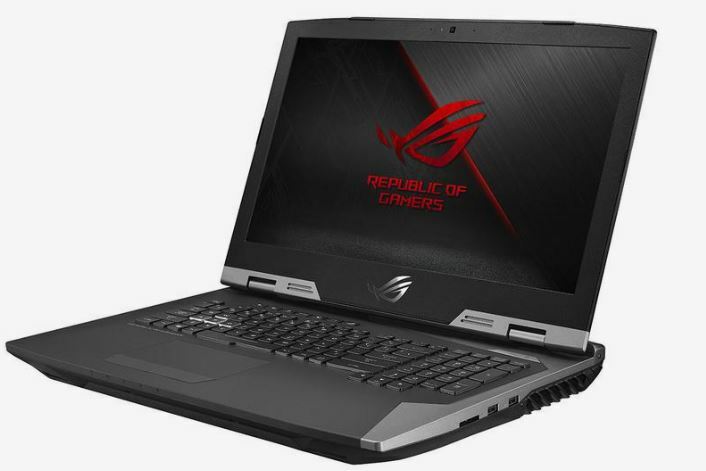 You also need to factor in the price: the ROG G703GI we got for testing costs a whopping 17,499 AED – but hey if the price isn’t a problem then this is definitely one of the best gaming notebooks to get.